So there I was, watching The Tingler with my dear husband Steven, because I thought I could write a post about a cheesy movie instead about how tired I am (it is Tired Tuesday, after all) (oh, it really, truly IS). I opened my laptop to look for some photos to pep up the post (since apparently pepping myself up is beyond possibility), and on searching “The Tingler” on Facebook discovered that I have already written a blog post about it! I was in a Vincent Price kind of mood. I had been thinking about Vincent Price during the day, probably because of the picture I put in yesterday’s post. 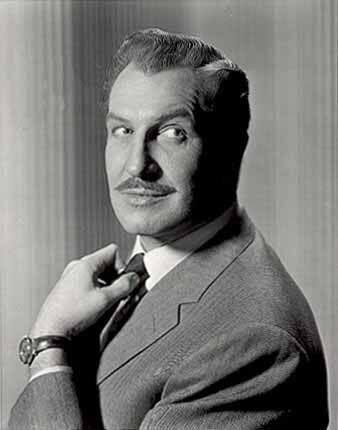 Then again, any day is a good day for Vincent Price. I did manage to find a couple of photos from the movie. He ought to be looking so hangdog because the science in this movie is so spurious. If you look in the background of that picture, you can see the skeleton that I believe was also featured in House on Haunted Hill, another favorite of ours. Steven pointed out a couple other similarities in the movies, namely the un-loving, sneaky wife. This looks a little racier than it actually is in the film. Does the evil wife get her comeuppance? I shall not say, regarding either movie. For one reason, I did not include a spoiler alert. For anther reason, watch the movie yourself! Either movie! Any Vincent Price movie! Any William Castle movie! Comment what you watched. I love it when I get comments. 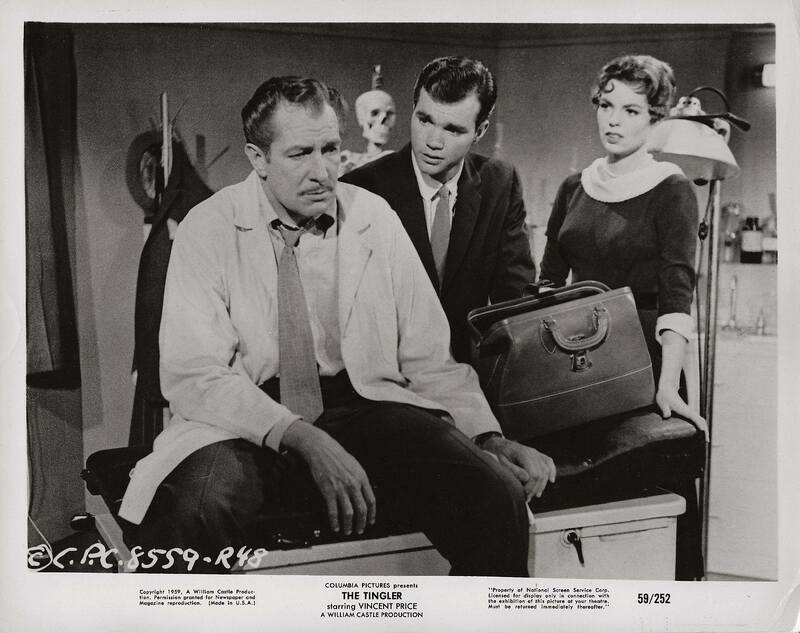 Posted in humor, personal, Tired Tuesday and tagged blog post, blogging, cheesy horror movies, House on Haunted Hill, The Tingler, Vincent Price, William Castle. Bookmark the permalink.